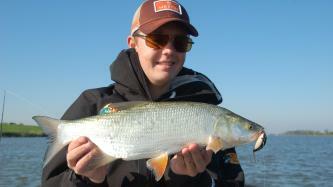 Fishing guide Tjeerd van der Ploeg fishes on multiple species like pike, zander and perch. 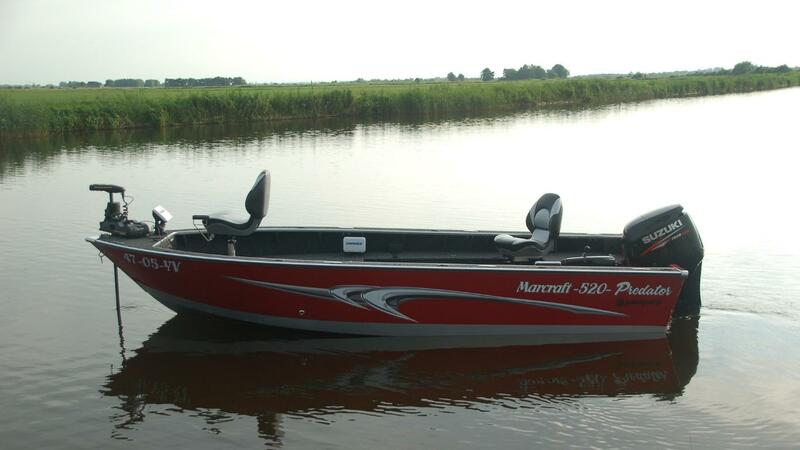 As a fishing guide he has experience in taking care of everything and providing a nice fishing trip. He fishes on different waters in The Netherlands; like the Noordzeekanaal in Amsterdam, but also the Sneekermeer in Friesland. The last couple of years he fishes more and more on the Dutch rivers and targets the Aspius (roofblei). 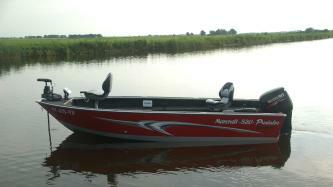 His speciality is fishing on zander by boat using methods like vertical fishing, jigging and dropshot fishing. Tjeerd always has his SLR camera with him and will send the coolest photos after the trip! Tjeerd does have al the resources and experience for giving you a nice fishing trip! Fishing guide Tjeerd van der Ploeg has been fishing for years on predatory fish such as pike, zander and perch. He has been active as a fishing guide for several years and already has a great deal of experience in providing excellent fishing trips. What does this day mean? 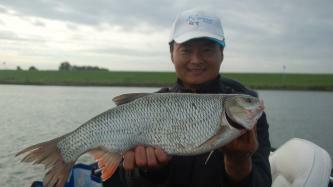 A well-groomed fishing day with a professional fishing guide on the Gooimeer, Including all necessary materials! This day we will focus on zander and pike! A permit can be arranged by us when indicated on time. The price of the permit is €42.50 per person and must be paid on the day of the trip. Tjeerd has all the resources and the experience to make it a beautiful day! See you on the boat! Day fishing on the beautiful Aspius! Fishing guide Tjeerd van der Ploeg has been fishing for years on predatory fish such as pike, zander and perch. He has been active as a fishing guide for several years and already has a great deal of experience in providing excellent fishing trips. What does this day mean? A well-groomed fishing day with a professional fishing guide on the IJsel, Including all necessary materials! This day we will focus the beautiful Aspius! A permit can be arranged by us when indicated on time. The price of the permit is €42.50 per person and must be paid on the day of the trip. Tjeerd has all the resources and the experience to make it a beautiful day! See you on the boat! Fishing guide Tjeerd van der Ploeg has been fishing for years on predatory fish such as pike, zander and perch. He has been active as a fishing guide for several years and already has a great deal of experience in providing excellent fishing trips. What does this day mean? A well-groomed fishing day with a professional fishing guide on the Veluwemeer, Including all necessary materials! 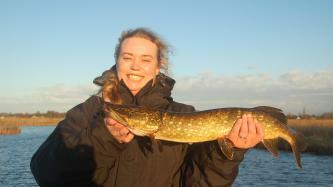 This day we will focus on the 'most notorious predator fish in the Netherlands" the pike! A permit can be arranged by us when indicated on time. The price of the permit is €42.50 per person and must be paid on the day of the trip. Tjeerd has all the resources and the experience to make it a beautiful day! See you on the boat!